Lab-grown meat, also commonly referred to as “fake meat,” is going to be examined by the Food and Drug Administration (FDA) in a meeting open to the public. On July 12, a public meeting entitled “Foods Produced Using Animal Cell Culture Technology” will be held by the FDA. The meeting will allow members of the public to provide comments on food production utilizing animal cell culture technology. In a statement, the FDA shares it has previous experience with technological food advancements such as plant biotechnology and that food safety is a key component of the agency. “The FDA has multiple authorities and programs that can support efforts to safely bring products with new ingredients to the market. Food safety is at the core of the agency’s mission to protect and promote public health for our nation’s consumers,” the FDA statement says. Are the potential hazards associated with production of foods using animal cell culture technology different from those associated with traditional food production/processing? Is there a need for unique control measures to address potential hazards associated with production of foods using animal cell culture technology? 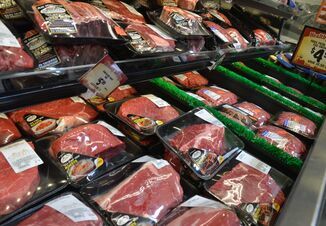 Lab-grown meat has received pushback from a number of agricultural organizations in the past year including the United States Cattlemen’s Association (USCA) and the National Cattlemen’s Beef Association (NCBA). 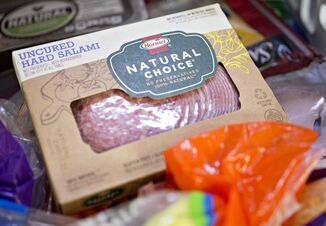 In February, USCA sent a petition to the U.S. Department of Agriculture’s (USDA) Food Safety and Inspection Service (FSIS) seeking fair labeling of both lab-grown and plant-based meat. NCBA has made alternative meats a policy focus for 2018 and officials with the organization are welcoming the opportunity to be part of the meeting. “NCBA looks forward to participating fully in the public meeting, and will use the opportunity to advocate for U.S. Department of Agriculture (USDA) oversight of lab-grown fake meat products. 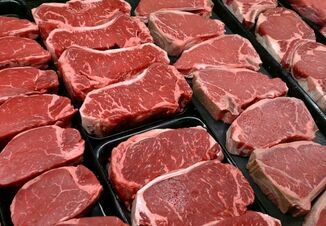 The Food and Drug Administration’s announcement disregards the authorities granted to USDA under the Federal Meat Inspection Act, as well as USDA's significant scientific expertise and long-standing success in ensuring the safety of all meat and poultry products. Under the current regulatory framework, FDA plays an important role in terms of ensuring the safety of food additives used in meat, poultry, and egg products. All additives are initially evaluated for safety by FDA, but ultimately FSIS maintains primary jurisdiction,” says Danielle Beck, director of government affairs for NCBA. Advance registration is open until July 5 and requests to make an oral presentation at the meeting are being accepted until June 28. Additionally, public comments can be made following the meeting either in written or electronic form until September 25.